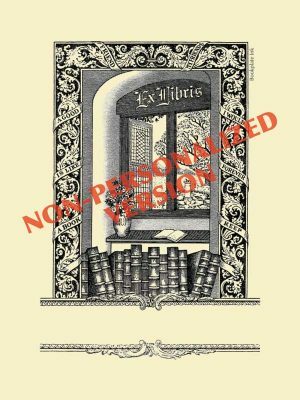 Offered by the Antioch Bookplate Company as early as the late 1940s, this popular design has the text, “A book is like a good friend; my friends I would forever keep” in the ribbon of the window frame. This version is available only with no text added. 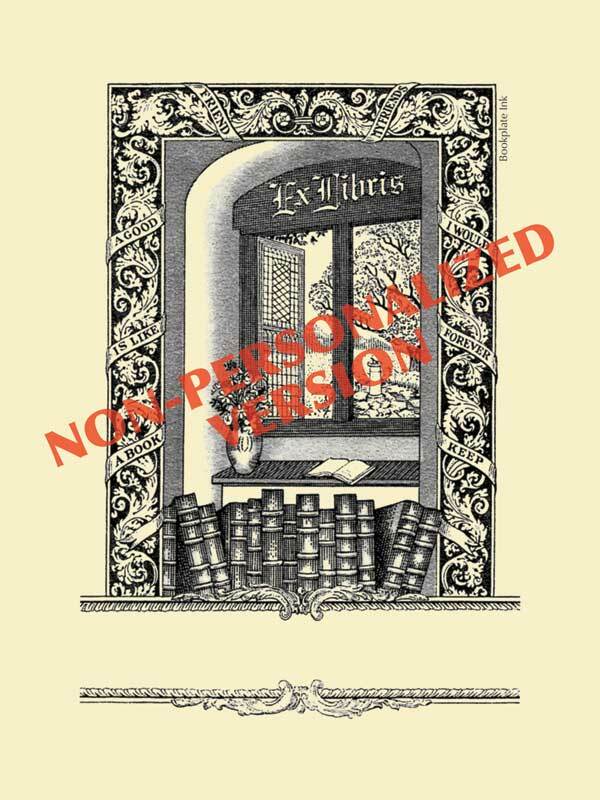 If you would like to have a name printed, please see our personalized version.